• How dominant was Francisco Liriano against the A's on Friday night? Not only were his 15 strikeouts the second-most in Twins history behind Johan Santana with 17 on August 19, 2007, his 30 swings and misses induced were the most by any MLB pitcher since ... Santana had 32 on August 19, 2007. I went back through the AG.com archives to find what I wrote about his incredible performance that day and shockingly it included a Jessica Alba comparison. Liriano's first start following his brief demotion to the bullpen also came against Oakland and he overpowered the A's then too, giving him a ridiculous 24-to-3 strikeout-to-walk ratio in 14 innings against them since May 30. And it was good timing, as at least a half-dozen teams reportedly sent scouts to evaluate Liriano for a potential trade. Since rejoining the rotation he's thrown 57 innings with a 2.83 ERA, .170 opponents' batting average, and 67 strikeouts. Oh, and Jason Tyner came in defensively for Rondell White late in the game. 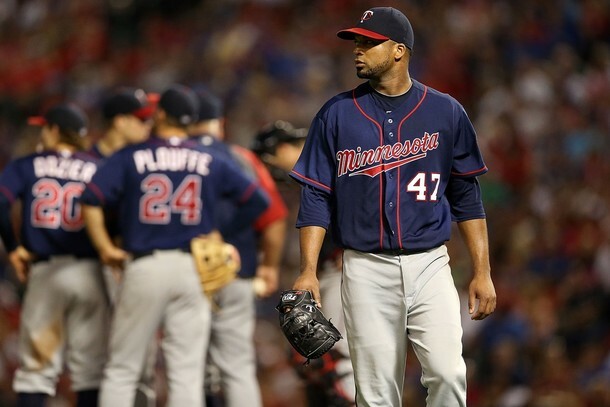 One not-so-fun fact about the game: Santana made just seven more starts in a Twins uniform. • Friday's deadline to sign draft picks came and went without much drama for the Twins, who'd already agreed to deals with their first 11 picks weeks ago. Or so everyone thought. It turns out sixth-round pick Andre Martinez, a high school pitcher from Florida who originally agreed to an over-slot $260,000 bonus, ended up reworking his deal after a pre-signing physical exam revealed shoulder issues. He signed Friday for $80,000 compared to the $200,000 slot. Another last-minute signing was 20th-round pick Zach Larson, a high school outfielder from Florida who agreed to a $190,000 deal that's nearly twice the slot value for picks after the 10th round. By saving money elsewhere compared to the slot values for various picks the Twins had plenty of extra money to throw Larson's way and in fact overall they spent about $300,000 less than their MLB-high $12.3 million allotment. Ninth-rounder L.J. Mazzilli is the earliest Twins pick not to sign, as the Connecticut second baseman and son of longtime big leaguer Lee Mazzilli presumably turned down close to the $130,000 slot amount for the No. 280 overall pick. Mazzilli hit .339/.404/.548 with 16 steals in 58 games as a junior, but also committed 20 errors and was no sure thing to stick at second base defensively as a pro. In all the Twins signed 27 of 43 picks, including 14 of their first 15. Mark Appel, the Stanford pitcher represented by Scott Boras who fell to No. 8 after being an oft-projected No. 1 pick and possible Twins choice at No. 2, ended up as the only first-rounder not to sign. He turned down $3.8 million, which is $900,000 more than slot and the most the Pirates could offer without forfeiting next year's pick. Appel can return to college for his senior year and be drafted again, while the Pirates get the No. 9 pick in 2013 as compensation. • After going 3-for-4 with a walk (and a great diving catch) last night Joe Mauer is now hitting .333/.420/.462, which is nearly identical to his .324/.404/.470 career line despite offense being down across baseball. He leads the league in on-base percentage and ranks second in batting average, has hit .385 in his last 45 games, and is projected to be worth $26 million this year according to Fan Graphs. He's being paid $23 million. • Nick Blackburn is already back with the Twins after allowing one earned run in two starts at Triple-A following his demotion, but the bad news is that he managed just five strikeouts in 15 innings. He succeeded there by keeping the ball in the ballpark, but his ground-ball rate wasn't exceptional and as usual there's little reason to think pitching to that extreme level of contact is going to get the job done against big-league hitters. • Matt Capps' return from the disabled list lasted all of five days, as he showed decreased velocity and was shut down again with more shoulder problems. That ruins whatever chance the Twins had of trading Capps before July 31, which is a shame because reportedly at least one team was actually showing interest. Suffice it to say that the Twins' decision to forfeit a draft pick in order to re-sign Capps for $5 million has gone about as well as expected. 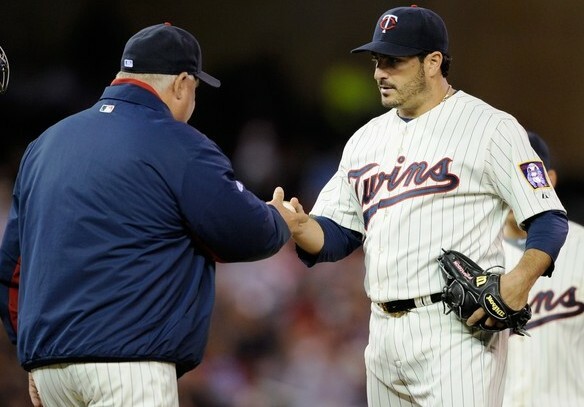 • Carl Pavano isn't close to returning from his own shoulder injury, so the even slimmer odds the Twins had of trading him before the July 31 deadline is officially gone. It's possible that he could return in time to make a few starts before the August 31 waiver trade deadline, but even that's no sure thing and obviously counting on Pavano to be effective enough to draw interest at that point would be wildly optimistic. We never messed with that too much back in the '70s, but we did in the '80s and the '90s and the 2000s. We've been looking at that forever. ... People don't want to hear that out of the Minnesota Twins. But we've been looking at that forever. Way before some. We're not as deep as some, but we do believe in certainly doing our work, and that stat page is one big piece to the puzzle of putting players together. Our scouts, and our people, will tell you if I'm looking at a player, and I go down and look at his line, and it doesn't add up, I've got to give him a call quick. I tell him, "This doesn't make any sense." His role, his skills and his statistical history, and you're going to tell me this? How do you get there? I believe in that. All forms of information are good. I've drilled that into our people. Bring it on. All forms, let me sort it out. ... I read all that stuff, and sometimes it's so much information that I do get paralyzed reading it and taking it all in. You can spend as much time as you want on everything that is available. It's almost mind-boggling how much stuff is out there. Ryan and other Twins decision-makers have adopted "we're into that even if you don't know it" as their response to those questions. And that's fine, although it's worth noting that, for instance, assistant general manager Rob Antony lacked familiarity with basic aspects of statistical analysis as recently as two years ago and even in the above excerpt Ryan talking about looking at stats isn't really what anyone would consider a new-school approach. When people wonder if the Twins are involved with statistical analysis the questions aren't about literally looking at a player's stats--that much is assumed, no matter a team's public stance--but rather taking full advantage of new technology and the increasingly in-depth data available. They've recently hired some stat-heads and clearly want to keep things secretive, but what little Ryan and others do say about the issue leaves plenty of room for skepticism. • Midseason prospect rankings are out and Baseball America moved Miguel Sano from No. 18 to No. 22, whereas ESPN.com moved Sano from No. 28 to No. 26. In other words Sano remains a top-30 talent as an all-around prospect and among hitters who don't play up-the-middle positions only Wil Myers of the Royals, Oscar Taveras of the Cardinals, and Nick Castellanos of the Tigers rank ahead of Sano on both lists. • As part of their minor-league roster shuffling the Twins released Jairo Perez, who ranked 34th on my preseason list of the team's prospects. He hit .337/.413/.580 at low Single-A last year and .265/.350/.403 at high Single-A this year, which makes cutting Perez in July an odd move. On the other hand at age 24 he was very old for Single-A and didn't really have a clear defensive home. And now he's playing in an independent league. • Matt Maloney parlayed a good spring training into an Opening Day bullpen spot after the Twins claimed him off waivers from the Reds in October, but the soft-tossing left-hander coughed up 10 runs in 11 innings and not surprisingly passed through waivers unclaimed in May. He was even worse at Triple-A, allowing 33 runs in 24 innings, and now he'll be out until mid-2013 following Tommy John elbow surgery. • Twins castoff Luke Hughes was released by the A's after hitting .223/.316/.338 in 42 games between Double-A and Triple-A. With the league's second-worst record at 36-49 and an 11-game deficit in the AL Central at the All-Star break the Twins have made it clear that they should be sellers leading up to the July 31 trade deadline. Determining which players they should be willing to sell and how much they should expect to get in return is a more complicated question, so today I'll break down the pros and cons of pitchers potentially being shopped and later I'll do the same for hitters. Why trade him? Liriano is an impending free agent with a maddeningly inconsistent track record that now includes following up an unexpectedly brief mid-May demotion to the bullpen with an extremely impressive eight-start stretch in which he held opponents to a .175 batting average with just one homer in 202 plate appearances and logged 49 innings with a 2.74 ERA and 9.5 strikeouts per nine innings. Two months ago he was all but out of the Twins' plans and two months from now he'll be on the open market, so if a contender wants to trust that Liriano is again among the league's top starters and pay accordingly ... well, let them. Maybe the Twins actually trust Liriano's rebirth, but there's no guarantee he'd sign long term with free agency around the corner and if his asking price was, say, four years and $35 million that's an awfully scary commitment anyway. Why not trade him? If the Twins' only options were to let Liriano walk for nothing, deal him for something, or make a risky long-term investment to keep him the trade route would likely be my choice, but under the new collective bargaining agreement they can also make a one-year, $12 million qualifying tender. If he accepts, they keep him for 2013 without a multi-year deal. If he declines, they get two draft picks as compensation when he signs elsewhere. Why trade him? Essentially found money, Burton has been one of MLB's top relievers after the Twins plucked him off the scrap heap on a minor-league contract this offseason. It was a smart pickup, as Burton was an effective setup man for the Reds from 2007-2009 before arm injuries derailed his career, but no one could have expected him to be this good after back-to-back lost seasons and a 31-year-old with a history of arm problems isn't the safest bet going forward. As the Twins sadly showed with Matt Capps every once in a while a contender is willing to vastly overpay for bullpen help at the trade deadline and turning a minor-league signing in November into a quality prospect in July would be quite a feat. He's been excellent, but 35 innings are still only 35 innings and selling high on a scrap-heap find and then diving back into the scrap heap in search of the next Burton makes plenty of sense. Why not trade him? Because the Reds cut Burton loose before he reached free agency the Twins have him under team control via arbitration for next year at a relatively cheap salary. If he were an impending free agent trying to cash Burton in for whatever they can get might be smart, but with one-and-a-half more seasons at their disposal there's no rush to trade him and little reason to do so unless there's legitimately good value coming back in the deal. Why trade him? Capps has actually been decent for the Twins, throwing 119 innings with a 3.55 ERA and 71-to-25 strikeout-to-walk ratio since they acquired him from the Nationals for Wilson Ramos in mid-2010, but the problem is that he's a setup-caliber reliever miscast as a closer, they inexplicably gave up a top prospect at a premium position to get him, and have vastly overpaid to keep him at $13 million for those 119 innings. Some of that is Capps' fault, but most of that is former general manager Bill Smith's fault and the situation as a whole is an example of why focusing on "proven closer" instead of "good reliever" is so silly. With that said, when healthy Capps is a perfectly reasonable 28-year-old setup man who could help plenty of contending teams in a non-closer role and presumably even the Twins aren't crazy enough to pick up his $6 million option for next season. Why not trade him? There aren't really any reasons for the Twins not to trade Capps, but there are reasons why Capps might not be traded. For starters he's currently on the disabled list with a sore shoulder that has sidelined him since mid-June. Beyond that he's owed about $2 million for the second half, plus a $250,000 buyout of his $6 million option for 2013, and the Twins might have to eat all of that money just to get a marginal prospect in return. Why trade him? Trading marginal prospect Yohan Pino to the Indians for Pavano in 2009 was a shrewd move and re-signing him for $7 million in 2010 was equally sound, but re-signing him a second time last offseason has proven to be a mistake. Pavano's age, injury history, and declining strikeout rate suggested a two-year, $16.5 million commitment was overkill and sure enough he's given them 285 innings of a 4.67 ERA for that money and is now injured. Before unsuccessfully pitching through a shoulder injury Pavano was still a useful fourth or fifth starter and contenders that miss out on big-name trade targets often look to plug rotation holes with an innings-eating veteran. That's basically what the Twins were doing when they acquired Pavano in mid-2009, and as an impending free agent with no hope for draft-pick compensation he'd be a cheap, no-frills fallback option. Why not trade him? Much like with Capps there's no reason not to trade Pavano but plenty of reason why he might not be traded. For one thing he's on the DL with a shoulder injury that dates back to May and could still be there on July 31. That makes it tough and perhaps even impossible to sell him, let alone sell him as an innings-eater, and the Twins would have to eat the remaining $4 million he's owed to even start a conversation for a low-level prospect. Why trade him? Blackburn has been bad, hurt, or bad and hurt since the Twins mistakenly handed him a four-year contract in 2010. They erred simply making a long-term investment in a mediocre pitcher with a miniscule strikeout rate and overstated ground ball-inducing ability, but the other issue is that Blackburn was already under team control via arbitration through 2013. Had they smartly gone year-to-year with Blackburn he'd have been cut long ago. Instead he's being paid $4.75 million to pitch at Triple-A and is owed another $5.5 million next year, although at least his $8 million option for 2014 can be declined without a buyout. Since signing the deal Blackburn has a 5.51 ERA in 65 starts and ranks dead last among all starters in strikeouts per nine innings (4.2), batting average against (.309), and slugging percentage against (.500). And if they don't trade him, you know he'll be back in the rotation eventually. Why not trade him? Well, it's not like they'll get anything for him. It's possible they could find a taker if they ate his entire deal, but that won't save any money and certainly won't fetch any kind of useful prospect. Admitting that he's a sunk cost and wiping the slate clean might be addition by subtraction, but with next year's rotation wide open they'll need someone to start games and why dump Blackburn only to spend more signing another washed-up veteran? • Assuming the Twins decide to become sellers at the trade deadline Ryan Doumit likely would have drawn a decent amount of interest from contending teams, but instead they took him off the market with a two-year, $7 million extension that will pay the catcher/designated hitter $3.5 million in both 2013 and 2014. Handing out multi-year deals to 31-year-old non-stars isn't usually a great plan for a rebuilding team, but the price is right and Doumit is a good fit. I liked adding Doumit on a one-year, $3 million deal this offseason because he essentially replaced Jason Kubel as a quality left-handed bat for a fraction of the price and was also a much-needed alternative to Drew Butera behind the plate in case Joe Mauer struggled to stay healthy again. Doumit has a good enough bat to be useful at DH and a good enough glove to be useful at catcher, and that's the kind of versatility the Twins needed. He's been exactly what they hoped, hitting .282/.344/.449 versus a .271/.334/.442 career line and proving to be a more palatable defensive catcher than his awful reputation. His defense in the outfield and at first base is a different story, as Ron Gardenhire soured on Doumit there almost immediately and has used him for all of 52 non-catcher innings in the field, but the ability to basically have Mauer and Doumit alternate between catcher and DH has been ideal. Doumit for $3 million this year was a nice pickup, so Doumit for $3.5 million in 2013 represents the same solid value and paying him $3.5 million in 2014 will hardly cripple the Twins even if he declines at age 33. Jason Marquis got $3 million for seven awful starts and Nick Blackburn is owed $5.5 million next year, so $3.5 million for a .750-.800 OPS hitter who can catch is enough of a bargain to be worth the risk of a multi-year commitment. And they can trade him later too. 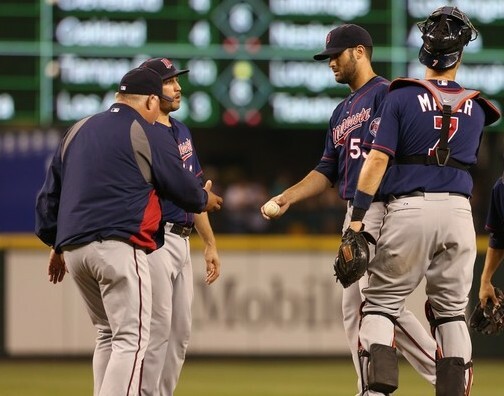 • Speaking of Blackburn, yesterday he was dumped from the rotation and demoted to Triple-A for the second time since the Twins misguidedly gave him a four-year contract extension in March of 2010. I hated that signing at the time, noting that the Twins already had Blackburn under team control through 2013 via arbitration and his miniscule strikeout rate limited his upside and made him far more likely to decline than improve. Sure enough since the Twins guaranteed him $14 million instead of going year-to-year he's got a 5.51 ERA and among all pitchers with 50-plus starts he has the fewest strikeouts per nine innings (4.2) and the highest opponents' batting average (.309) and slugging percentage (.500). Some of that can certainly be blamed on injuries, but that's one of the reasons to avoid making unnecessary commitments to mediocre pitchers you already control for years to come. Had the Twins smartly chosen to go year-to-year with Blackburn via arbitration they'd have presumably already cut him, if not after his 5.42 ERA and demotion to Triple-A in 2010 than at least after his 4.49 ERA and forearm injury in 2011. Instead they're paying him $4.75 million this season and owe him $5.5 million next season, which would have been his final year under team control via arbitration anyway. • Liam Hendriks will be joining Blackburn in Rochester after struggling for the third time in three chances with the Twins. Hendriks came into the season as the team's top pitching prospect, but that was mostly by default and despite being the Twins' reigning minor league pitcher of the year his long-term upside has always been mid-rotation starter. He was rushed to the majors, much like Chris Parmelee, and is still 23 years old with 16 starts at Triple-A. Obviously his 6.71 ERA through 12 career starts is ugly, but a 39-to-16 strikeout-to-walk ratio in 62 innings isn't far off from what you'd expect based on Hendriks' track record. He'll need to show better control because mediocre raw stuff and modest strikeout rates in the minors make it hard to imagine many missed bats, but his biggest problem was serving up 13 homers in 62 innings after allowing three homers in 94 innings at Triple-A. Don't give up on him yet. He has some noise in his setup, but he has a smooth stroke with good balance and whips the bat head through the zone. With his power, he can put on a good show in batting practice. Scouts have reservations about his ability to hit in games, so his pitch recognition skills will have to improve. Many players with Minier's body type--thick lower half and below-average speed--are already at third base. ... He has a strong arm but will have to work on his infield actions to avoid a move further down the defensive spectrum. In addition to Minier the Twins also spent $500,000 on 16-year-old Australian southpaw Lewis Thorpe, who Baseball America called the country's top prospect. As part of the new collective bargaining agreement they have $1 million left to potentially spend on international signings. • Mauer has played 72 of 80 games while hitting .332 with a league-leading .420 on-base percentage and his Wins Above Replacement (WAR) total of 2.8 leads the Twins while ranking 10th among the league's position players. If your reaction to his being selected for the All-Star team at baseball's thinnest position was anything other than "of course he made the All-Star team" then you're likely better off booing him at Target Field than reading this blog. • Parmelee was recalled from Triple-A because he responded to a mid-May demotion by hitting .375/.500/.708 in three weeks there. Since rejoining the Twins he's started a total of four times in 26 games. How that helps him or the Twins in the short or long term is beyond me. • Danny Valencia had 23 homers in 266 games for the Twins. Trevor Plouffe has 18 homers in 39 games since replacing him on May 15. Plouffe has shown no signs of turning back into a pumpkin and Valencia is hitting .245/.286/.410 in 49 games at Triple-A. • I somehow neglected to include this in my SABR convention recap, but I was at Target Field last Friday night to witness one of the better "security guards chasing an idiot who ran onto the field" moments in recent memory. Shockingly he wasn't part of the SABR group. • Since the Twins changed catchers nine seasons ago Mauer has been on base 306 more times than A.J. Pierzynski while making 534 fewer outs. • Paul Bargas, the pitching prospect the Twins acquired from the Rockies for catcher Jose Morales in 2010, has died from brain cancer. He was just 23 years old. • Miguel Sano's high error total at third base has the Twins concerned about his defense at low Single-A, but his odds of sticking at third base have never been very high anyway. • Pitcher wins are hilarious, part infinity: Jeff Gray is 5-0. He's thrown 35 innings with a 4.08 ERA and 18-to-16 strikeout-to-walk ratio. 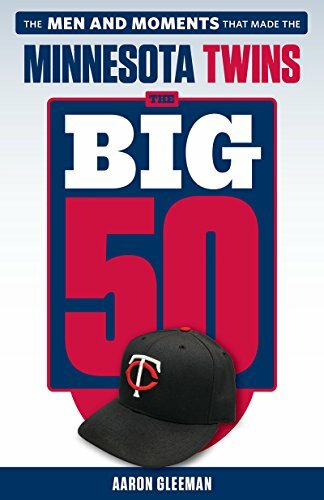 • If you missed it last week, Dave Beal of the St. Paul Pioneer Press wrote a good article about the Twins' involvement with sabermetrics. 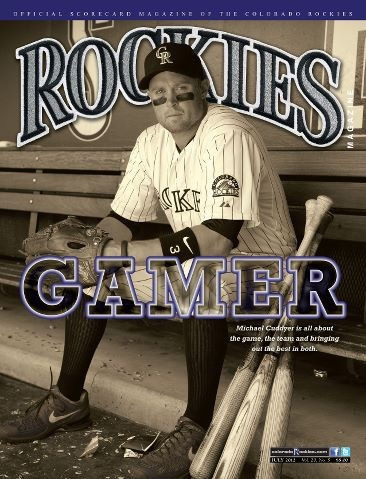 • Michael Cuddyer is hitting .233 away from Coors Field for a 31-50 team while earning $10.5 million, but some things never change. • When he's not riding elevators with me Jose Mijares has a 1.69 ERA and 29 strikeouts in 32 innings for the Royals, which is why cutting him loose for $750,000 never made much sense. • Frank Viola's daughter, Brittany Viola, made the Olympic diving team. 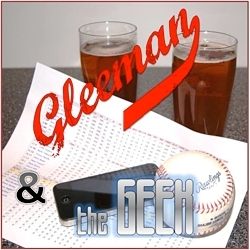 • Along with being one of MLB's best relievers Glen Perkins also has great taste in podcasts.